Was the cesarean section done in a timely way? Failure to perform a cesarean section or a delay in performing a cesarean section is one of the high risk situations in obstetrics. See part 1 for a post on failure to recognize an infant is in distress, part 3 for the issues of shoulder dystocia and part 4 for prevention strategies. A Texas mother received oxytocin during labor to increase the frequency and strength of her contractions. Nurses repeatedly slowed the rate of the oxytocin administration because of drops in the fetal heart rate. The physician ordered that oxytocin be resumed even after there were concerning signs about the fetus. The infant was born with injuries including cerebral palsy. At age 5, the child could not walk, talk or eat except through a feeding tube. Fifty-five to sixty percent of claims related to death of fetuses or development of brain damage were due to delay in treatment of a fetus in distress. In 1989, the standard was established by the American College of Obstetrics and Gynecology that hospitals with obstetric services should have the capability to begin a cesarean delivery within 30 minutes of the time the decision is made to perform the procedure. That rule is still followed today. While it does not prevent all poor infant outcomes or guarantee infant safety, it has become an expected medical-legal standard. Accomplishing a delivery in 30 minutes means that many processes have to go right. 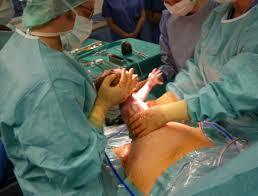 The staff have to be available and recognize the need for an emergency cesarean section. The mother has to agree to it. The operating room has to be ready. Precious time is lost when the process is slow or does not work. The results can be catastrophic. The most fertile ground for the defense of these cases is to dispute causation and point to prenatal factors as the cause of the infant’s defects. There is intense research occurring to investigate the markers that would indicate the infant’s medical condition was due to events that occurred before the mother entered the hospital for delivery. Med League supplies experts for obstetrical and other types of medical malpractice cases. Contact us for help with your next case. Get your free ebooks: 6,500 Medical Abbreviations and 275 Tips About Medical records: A Guide for Attorneys at this link.